Yesterday, the USDA released its 2017 Census of Ag, which is conducted every five years. According to the USDA, there was a 72% response rate from known farmers and ranchers. In this short video, you can watch Secretary of Ag Sonny Perdue thanking farmers for their responses. The total number of US producers increased by 6.9% from 2012, up to 3.4 million. In 2017, more farms reported having multiple people involved with farm decision making, contributing to the increase. Land in farms decreased by 1.6%, recorded at 900.2 million acres for 2017. 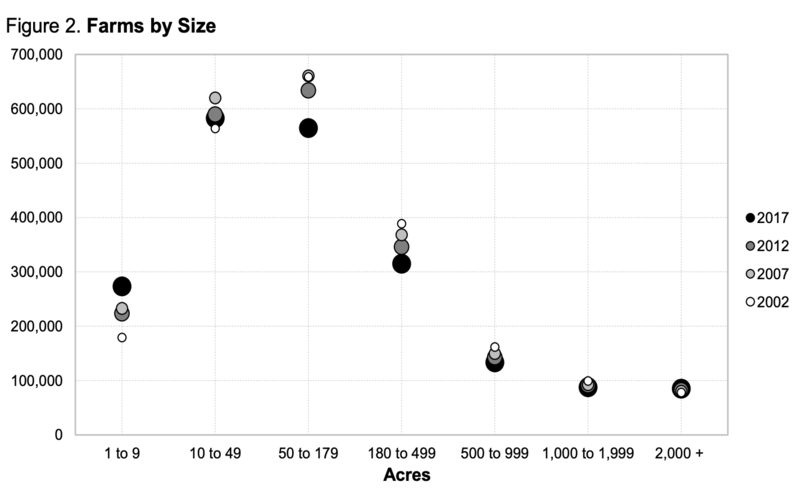 U.S. farms are reported at an average size of 441 acres, 7 acres more than in 2012. 352.5 million acres are farmed by renting and leasing, and 547.8 million acres are farmed and owned by the operator. Average farm income decreased by 2% from 2012, sitting at $43,053. 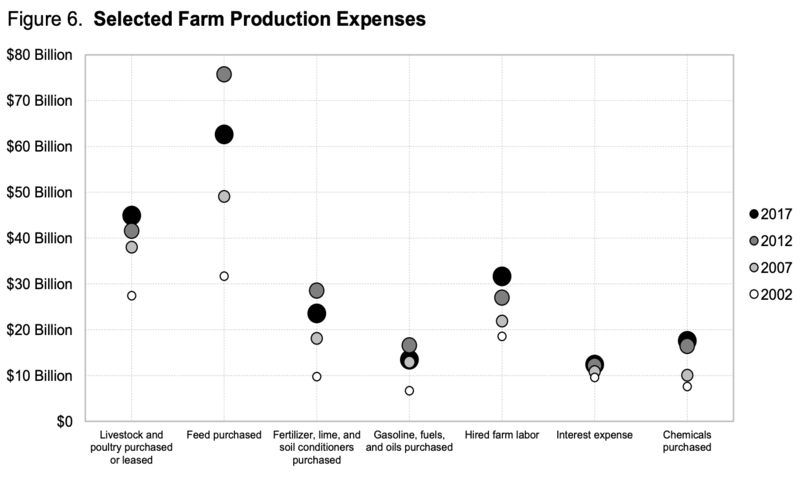 2012 was a record year for farm earnings, with the average farm income reported at $43,750. Though earnings were lower in 2017, government payments increased by 40%, with an average payment per farm of $13,908. Average cost of production for 2017 was $159,821, up from $155,947 in 2012. The number of corn and wheat farms decreased, while the number of soybean farms increased. While the number of corn acres farmed increased from 2012, the number of farms growing corn decreased to 304,801, down 43,729 farms from 2012. Both wheat acreage and farms decreased, at 104,792 farms in 2017. Soybean acres increased to 90.1 million, up 14 million from 2012. The number of soybean farms increased slightly. Rachel Nizinski is a Michigan native who developed a passion for agriculture throughout her time growing up in the Midwest. 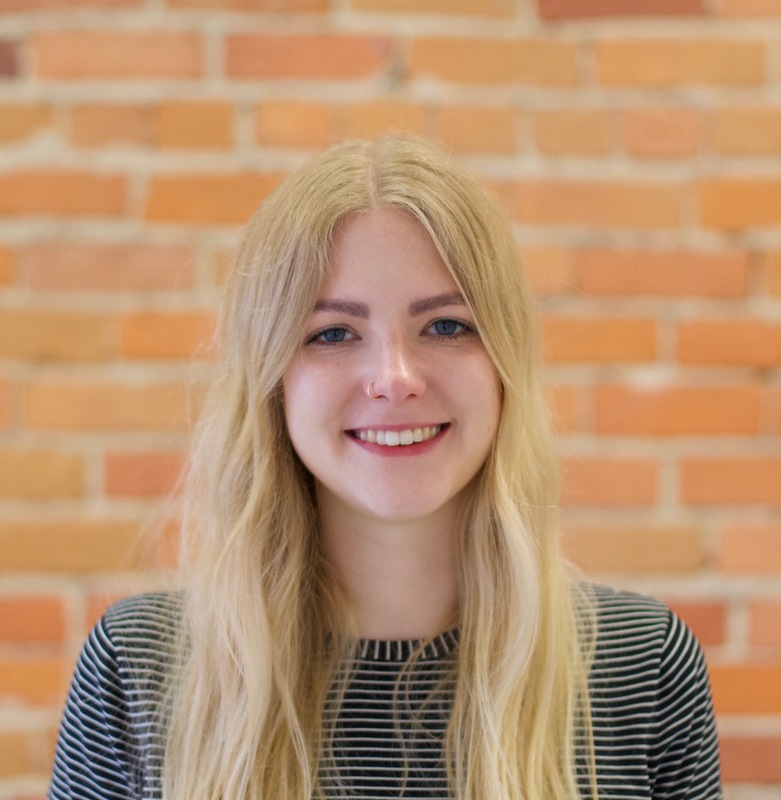 She attended Saginaw Valley State University, and joined the FarmLogs team as a content writer in 2016. Share: "USDA 2017 Census of Agriculture Report Highlights"
We’ll email you once a month with a roundup of our latest blog posts.